Clare Duignan has over 25 years CEO and senior leadership experience, and has served on the boards of both public and private organisations. As Director of Programmes RTÉ Television, she transformed home-produced content and grew audience share to a record high. As MD RTÉ Radio she reduced headcount and operating costs by 20% while holding audience share, identifying new revenue streams and driving a more customer-focused sales policy. Clare has a strong track record of strategic leadership and a deep understanding of consumer needs and behaviour, marketing and branding and social media. Her experience in recruitment, team leadership and performance management is coupled with a track record in supporting female leadership and promoting gender balance in the workplace. She has mentored female start-up entrepreneurs and emerging social entrepreneurs, and recently led the search for new CEOs in a number of different organisations. 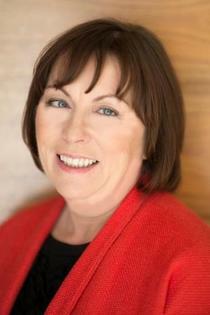 Clare is a board member of a number of organisations including the Digital Hub Development Agency, the Broadcasting Authority of Ireland, Business to Arts, and the Dublin International Film Festival. Clare is a member of the Institute of Directors and received the Diploma in Company Direction (Dip IoD) in July 2013.